Everyone knows who is a “rather chubby man” from the popular cartoon. 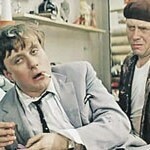 And who is a moderate drinker, even as a joke no one in the former Soviet Union cannot explain clearly. Perhaps because the problem was such boundaries that are not up to it – to help the Perhaps, because the problem had such boundaries that it was more important to help the “professional” alcoholics. And wasn’t time for those who are in the “warm-up area”. But they should be warned about. At least, because that an alcohol effects differently on every human. And it would be nice to know who and to what extent has drunk up. And you know it was possible to help someone from them, more precisely, in time. And sometimes there a situation that frustrates all plans: a human like is not among those who are “addicted”, has drunk a little and there convulsions with him, seizures, loss of consciousness. In rare cases alcohol poisoning affects this way on a person. We’ll return to this problem later, but for now let’s dig into literature and try to get know, has anybody gotten know the norm that maybe drunken. And generally speaking, whether such norm exists? for a human, whose age is over 65, – it is not more than one drink per a day. As you can see, there is a difference by gender and age parameters. It is characterized by the presence of water in the body. How much is one serving of alcohol? vodka and other alcoholic beverages: 0.05 liters (42 g). boys and girls under the age of 21 years. Some may object that ancestors have drank, and nowadays sometimes alcohol is recommended, for example, red wine for maintain the heart health. We do not object to it. But if you take such “mixture” often or permanently then over the time the addiction to alcohol will begin to form, and instead of the expected positive effect on the cardio-vascular system, the problems will arise. All the more so, the same health effect can be achieved by a healthy diet and regular and better active sports. A normal doze of alcohol really raises a person’s mood, a feeling of euphoria and looseness appears. Troubles and unimportant problems lose their sharpness of perception, stress bursts are smoothed. This entices a person to alcohol. But do not relax and focus on the norms: they affect each person differently. Unfortunately, the period of euphoria from alcohol has its limits. You can’t stay at the same level for a long. The concentration of alcohol in the blood offs in the human body adequate perception of reality and the self-control disappears. Since overcoming the limit of abstinent drinking, every gram of alcohol, getting into the body, turns to poison. At this stage the signs of alcohol poisoning appear. Some people even after a small dose of alcohol may feel worse. The reason for this is the idiosyncrasy of alcohol. traditional doze of alcohol drinking. Keep in mind that a higher risk is for young men and women who begin to know the taste of alcohol. They don’t have drinking experience, and have lots of bravado. Alcohol is very dangerous for women in the first 12 weeks of pregnancy, when she cannot yet be sure of her state. If the expectant mother drinks during pregnancy, alcohol can affect the fetus or give him an alcohol syndrome. Then a child will have pathology for whole life. Alcohol poisoning is usually caused by ethyl alcohol or beverages with more than 12 percent of its content. The ethanol concentration in the blood of more than 8 g / l is considered as lethal. Lethal once-only dose is accepted from 4 to 12 g / kg. These rates can vary depending on individual tolerance to alcohol. 9 out of every ten hospitalized with alcohol poisoning – are people, dependent on alcohol. Fatal poisoning happens more than six out of ten cases. Individual norms do not affect the nature of the alcohol poisoning signs. They are the same for everybody and proceed in three stages. personality characteristics are accented, which were not visible previously. 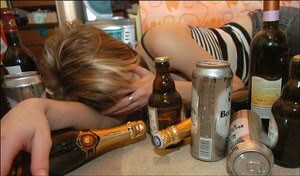 If you in such a moment take away a glass from alcoholic, the next day a poisoning will appear as a hangover syndrome. The second stage will inevitably come if the person does not stop at the first stage and will continue to drink. But such “heroism” will certainly lead to the aggravation of the situation. the death can’t be excluded. Sometimes medical reports pass the information about bad vodka poisoning. Though, “experts” of the glasses argue that there is no bad vodka. In the joke lies a serious trouble. The body struggle hardly with alcohol substitutes. In addition to alcohol, which is perceived by the body as a poison, they contain many substances that actively affects the liver and brain. They lead to severe consequences for the human body. Substitutes include liquids containing alcohol which are used in modern home and in industry. Alcoholics drink them when wine or vodka become unaffordable or no place to buy at the moment, but “soul burns and requests.” This category also applies fake alcoholic drinks, from wine and vodka to low-grade brew. Besides ethanol, they are composed of harmful impurities. household liquids: solvents, various detergents, braking liquid, antifreeze and even some types of adhesives. All liquids are dangerous by the presence of hydrolytic sulfate alcohols, methyl alcohol impurities, oils, acetone, and other toxic substances. various liquids for technical use, which contain the above and similar alcohols liquids. The high concentration has in itself an increased risk of defeat of various internal organs. The patient’s condition doesn’t differ from the state after protracted boozes when alcohol flows like water. But then the body behaves depending on what and how much was drunk. Methanol is lethal even at 100 ml. For the first time after the poisoning human begins to feel sick, and vomit appears. The skin becomes red and dry. 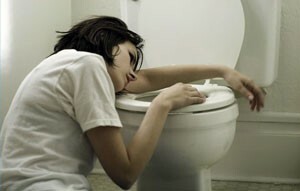 On the second day the condition worsens, thirsty and abdominal pain start, which are followed by a headache. There a cramp in calf muscles, see double. Because of complications a person can lose his sight. Neck muscles tense, there are convulsions, heart rhythm is lost, pressure reduces. If he drank a lot of alcohol, person can fall into a coma. His breath can stop. Manifestation of poisoning symptoms may have fulminant character in one direction – to the death. Ethanol is able to neutralize the methyl alcohol partly, so in rare cases, beverages containing ethanol, can weaken the patient’s condition. Ant alcohol in human’s organism causes similar symptoms. Ethylene glycol is deadly at 150 ml. After a third or half a day there is a pain in the head, lower back and abdomen appears, then thirst, diarrhea and vomiting, redness and dryness of the skin. At severe form of poisoning the cramps appear, and the person loses consciousness. Heart failure, pulmonary edema with acute renal or hepatic insufficiency may become the last patient’s diagnosis. During the years of drinking practice a mankind has not only improved the taste of alcoholic poison, but has generated and improved methods of exit from hangover. The slight hangover the next morning after a feast day, you can “treat” by a cup of a hot drink – coffee or tea. It would be good to throw a lemon in it. This will help get rid of fatigue and headache. Who has the opportunity and time, he may steam bath. Active sweating helps the body to clean the body of toxins. No matter how you treat the doctors at the first signs of alcohol poisoning it is necessary to call an ambulance. Even during severe forms there is a chance to help a person to survive. We must act wisely and know how to help. There is nothing new in this – action at any poisonings are the same. when the stomach is released, you need to give a patient 20 tablets of activated charcoal. If the patient fells really bad and he is unable to control his actions, then it is better do not provide a gastric lavage, in order to prevent the choke-boring by vomit. In an unconscious state should wait for the arrival of “first” and control in order not to sink language. In an unconscious state you should wait for the arrival of “first aid” and control that the tongue doesn’t stick inside. Respiratory failure helps to restore subcutaneous of cordiamin or caffeine. Artificial respiration is provided in cases, when the breathing has stopped at all. Doctor-resuscitator is needed for a patient in coma. 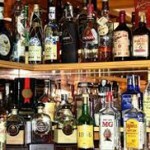 Alcohol coma is able hit the human body with an average weight and who usually drink rarely. But he has lost temper and took a short meal per 400-450 grams of vodka. 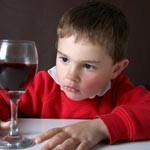 In such cases, the concentration of alcohol in blood abruptly jumps to the level of 0.3 percent and above. Actions are the same as during the usual food poisoning. The first step is to call the gag reflex. wait for the arrival of “first aid”. As you can see, it’s pretty simple. But I would like to make life proceeded without such “trifles”. Of course, it is difficult to do without feasts. However, do not turn them into a kind of cult and to have a fancy for excessive alcohol consumption, and especially alcoholic beverages of of questionable origin.